With the release of QuickDME™ version 3.2 Administrators can quickly and easily archive & restore case assets via Admin Configurator, providing even more storage flexibility. To start using the new feature, Admins simply need to setup their Archive Storage location via the Database Setup Utility (shown below). This only needs to be done once, as it is a global configuration option. Simply enter the UNC path or browse to the new archive location, then click “Save”. Once that’s completed, you can then launch Admin Configurator and go to the “Archive” tab to begin archiving assets. 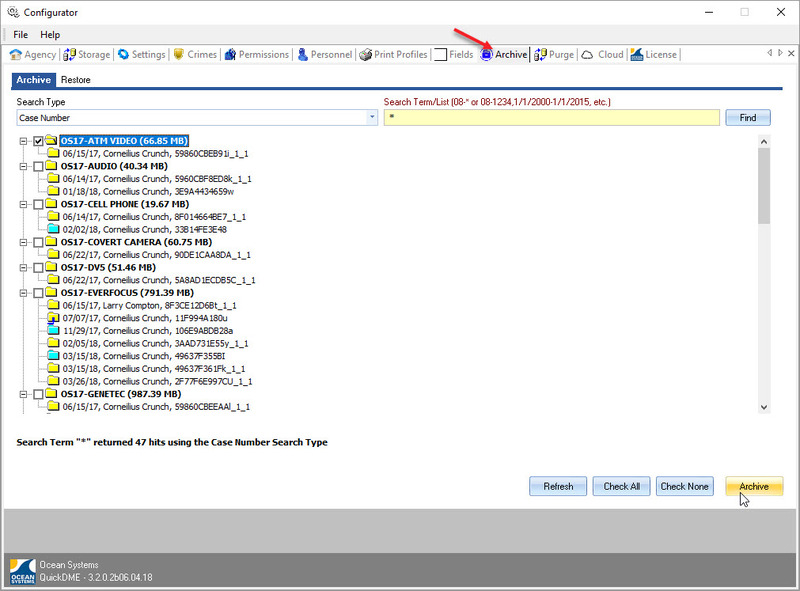 On the new “Archive” tab of Admin Configurator, Admins can search for cases using various search fields, select the case(s) they’d like to archive the assets for, then click “Archive”. All cases assets are losslessly compressed into a ZIP package and stored in the Archive Location. Metadata remains viewable and searchable in AccessDME™ after archiving. Archived Case & Download folders are represented by gray folder icons, as shown to the right. 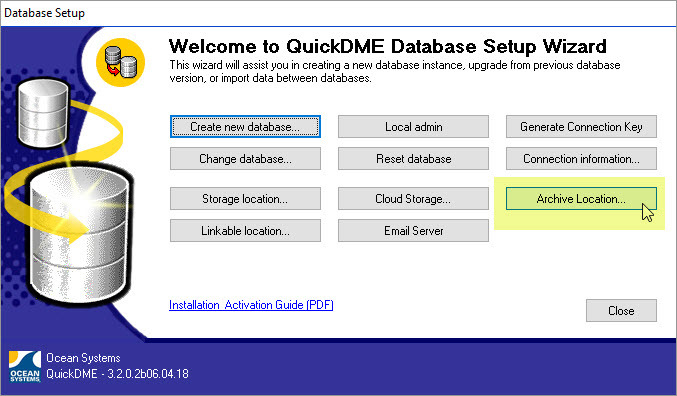 When users attempt to view an archived asset they receive a notice that the assets have been archived and they’ll need to contact their QuickDME™ Administrator. Restoring archived cases is quick an easy as well; simply launch the Admin Configurator, go to the Archive tab, click on the “Restore” tab and you’ll see all of the cases that have been archived listed there. Select the case you’d like to restore, then press the “Restore” button. The assets will be unpackaged, moved back to the primary QuickDME™ evidence storage location, and will once again be available when browsing the case in AccessDME™. Your Evidence. Your Storage. Your Way. In version 3.1 we introduced Linkable Locations, providing a way to manage assets from other locations on the network, and we also introduced a storage meter and better reporting on storage used. Now with the ability to archive assets, Administrators have even more granular control. If you’re spending time hashing, organizing, managing and disseminating digital evidence, QuickDME™ can help, whether it’s for a single workstation/user or multiple departments/agencies. Download a free trial version and/or contact us today to find out more. Posted in Ocean Systems Blog and tagged asset management, digital evidence management, evidence storage, QuickDME.